The First and Second Dáil, the government of the True revolutionary Irish Republic, in existence for only 3 short years, but with a legacy and importance that reverberates today within Republican circles. I gathered that this event today would focus on the creation of the First Dáil, the other speakers here today I deemed would be more qualified to speak on the history leading up to its creation, its importance at the time and the key players involved. I would like to focus more on why the 1st Dáil is still as important for Republicans today as it was in 1919 and that far from being a commemoration for us, something that we look back on with pride it is in fact still central to the principles of our ideology and that our aim remains the re-establishment of the true revolutionary Dáil. We hear in modern times people talking about the Dáil, but it is most important that we ensure the public understands that those who sit in Leinster house are not members or even inheritors of the Republican Dáil Éireann, that their government is not as they proclaim the 32nd Dáil. This falsehood that the Irish public are fed about the genesis of the 26 County state is typically Orwellian, the blatant pathological lie that those currently in Leinster house draw their constitutional line of authority from the 1916 Rising and the all-Ireland General Election of 1918. The background to the creation of the 1st Dáil was the British general election of December 1918, when Sinn Fein secured 73 of the 105 constituencies in all of Ireland. 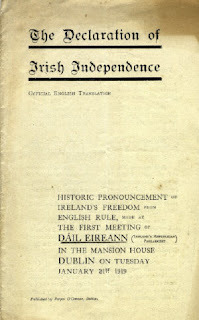 In its manifesto, Sinn Féin had declared it would secure a Republic by withdrawing the Irish MPs from Westminster and setting up an independent constituent assembly in Ireland. 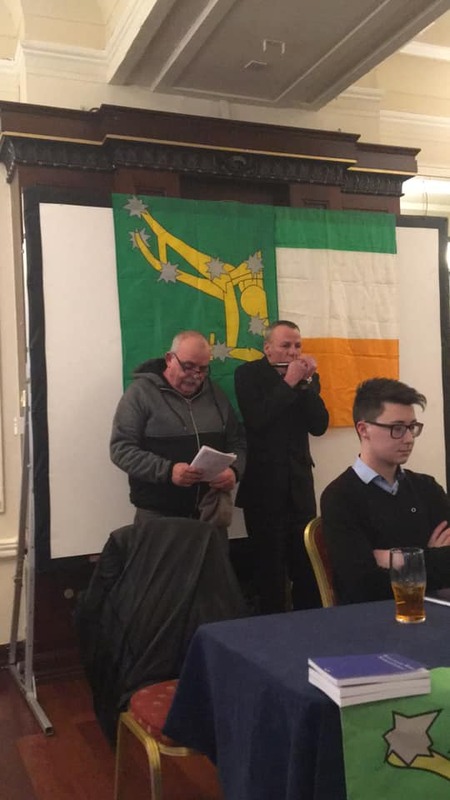 Irish Republicans stood in this election on an abstentionist ticket as current Irish Republicans still do. This strategy had been mooted before, but never acted upon, by some 19th-century nationalists. Emboldened by its triumph at the polls, Sinn Fein now called on all elected Irish representatives to attend the inaugural meeting of Dáil Éireann. The invitation was, of course, ignored by the unionists. The Free State and current pretenders to Dáil Éireann sitting in Leinster House originate from Britain’s Government of Ireland Act 1920, that constitutionally partitioned the Country, the Revolutionary Dáil sat in defiance of this act. When the treaty of surrender was signed a decision was made by counter-revolutionaries at the only sitting of the House of Commons of Southern Ireland in January 1922, to accept this Southern Parliament which was formed under the British Act, and this counter-revolutionary grouping is what is currently masquerading as the Dáil. This vital piece of information is what makes the true revolutionary Dáil so important to Republicans today, it was the last manifestation of the True Irish Republic, the Republic declared and fought for since 1916, that all Republicans pledge their allegiance to. It was suppressed in the bitter counter-revolution that followed the treaty of surrender and in its place the two partitionist states were set up. Republicans since the partition of Ireland have been fighting a war against these two illegitimate states. 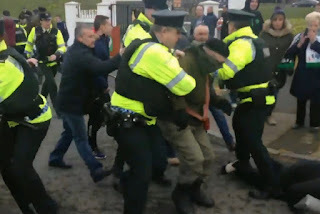 Time does not change facts, and the facts today are that the Freestate Government exists as a usurpation of the true Dáil Éireann, and, that is why as Republicans we must have no truck with them. 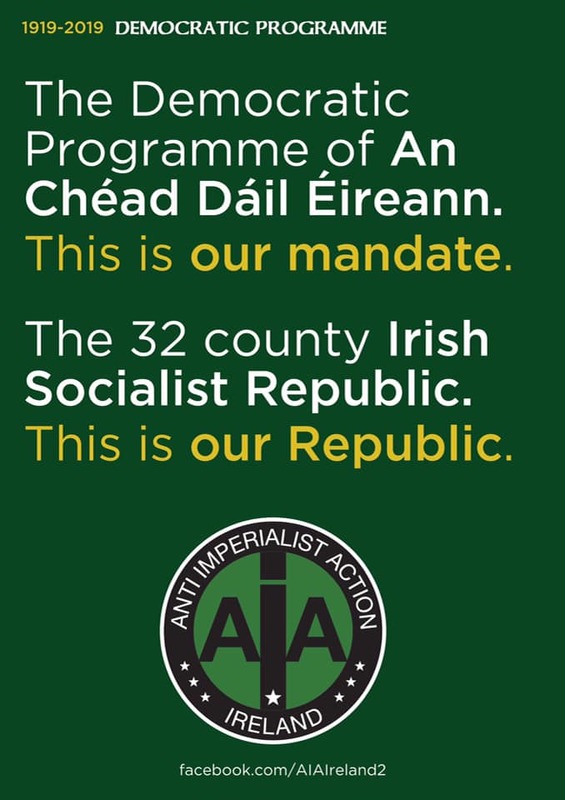 Our ideology dictates that far from trying to reform the rotten Freestate and British construct in the 6 counties, our duty is to remove these illegitimate institutions and replace them with the Re-Establishment of the true Radical Revolutionary Dáil Éireann that first sat this today 100 years ago. The members of the 1st Dáil were only too aware of how revolutionary their action was, it was known by all members that from the inception of the Dáil, it was acting in defiance of the British State. With prevention being better than cure and in order to ensure the continuity of the Republican Government an Emergency Powers resolution was passed at the First Dáil to transfer authority of Government to another body in extreme circumstances to ensure it could continue to function. This was to take account of the fact that only 27 TDs were present at the first sitting because the other 34 were in Prison. They feared rightly that the Dáil would be banned altogether, which it was later that year, and that it would not be able to sit or do its work of governing the Irish Republic. 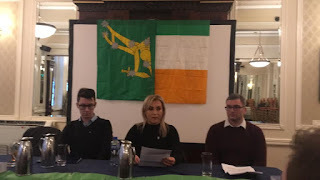 It is important to note how the legacy and idea of the all-Ireland revolutionary Dáil Éireann endured for decades among a group of particular traditional adherents of Irish republicanism. I do of course refer to the republican TDs of the Second Dáil, which was never formally dissolved before the Counter-Revolution of 1922 - 23. These include great names of Irish republicanism such as Mary MacSwiney, Austin Stack, Brian O'Higgins, and Count Plunkett. Through the 1920s, and much of the 1930s, this group regularly met as both the parliament and government of the Second Dáil Éireann in defiance of the Free State institutions. In 1938, the then seven surviving republican deputies passed on their legitimacy as the government of the Irish Republic declared in 1916 to the Army Council of the IRA - then at the beginning of a new campaign. For the men and women of 1919, the bold revolutionaries who established the Republic to which we are all citizens, taking the decisive action of creating a Republican Government was fraught with danger, the Republic had been declared just 3 years’ prior during the 1916 rising, and for me that is the day the Republic as we know it was born, during the intervening years they set about establishing the mechanisms of a working Republic, they employed ingenious tactics politically and militarily. From the moment the Irish Republic was declared in 1916, adherents of the Republican cause entirely rejected British Rule. Home Rule which had been an aspiration for many previously was rejected, it was all for the Republic and no alternative to the Republic would be tolerated – Liam Lynch famously summed up the attitude of his generation of Republican militants when he said in 1919 at the outset of the Tan War: ‘We have declared for an Irish Republic, and will not live under any other law’. While Republicans rallied for the Republic, moderate nationalists continued to collaborate with the state, much the same as today where we have nationalists continuing to entertain the two illegitimate parliaments in the vain hope of winning concessions or even controlling them one day. Electoral victories for “Republicans” in either the 26 or 6 county assemblies is far from a triumph for Republicanism, it is the opposite in fact the complete opposite, it is exactly what those who partitioned Ireland sought for us to do. It is buying into the system that entirely usurps the Irish Republic. 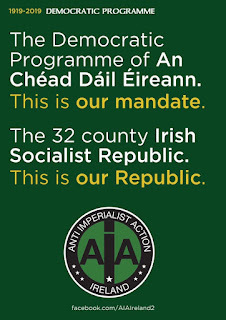 As Republicans, we must formulate our demands, under a common banner, that a Third Dáil Éireann, proceed from the people, in a re-constituted true all-Ireland Republic. This remains the Republican position and should be the bedrock of all our efforts to restore complete Irish sovereignty. Ultimately, for us Republicans, any Republic to emerge from the reunification of our country must be in line with the 1916 Proclamation, proceeding from there and not the engineered constitutional process employed by the British government since 1921 to usurp the Republic. With the discussion around Brexit and border polls, we must be more strident than ever in our demands. We cannot settle for what the state is offering us as they did when signing the 1921 treaty of surrender, we must go forward and settle for nothing less than the Republic. 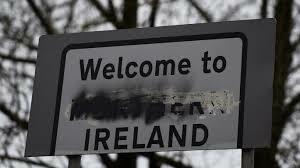 The reunification of Ireland is one of our demands but it is not THE demand, as Republicans we have no interest in simply joining constitutionally the 6 counties to the 26 county Freestate, rubbing out the border and calling it good. Stepping stones is a term I hear constantly when people are trying to sell something not principally sound, it has been used right from the time of the 1st Dáil to present day, in my line of thought we don’t step on stones. We don’t want or wish to settle for stepping stones, we must lay out a clear and stable path to the Republic, that is our duty and the onus is on us all to make it happen. The vision and determination of those who created the 1st Dáil must be replicated by current Republicans, we are the inheritors and custodians of the Dáil, it is our job to re-establish it. Discussions must be had, plans laid in place and action taken. We must have the strength of character to resist concessions, reject revisionism and forge ahead with the Republic. The future is in our hands, our sovereignty and Republic will not just be presented to us, it will not be easily won. The lessons of Irish History prove it. Concession after concession will be offered, some will fall for these Trojan horses but we must remain defiant. The path to re-establishing the Irish Republic was laid out for us long ago, far from radical new thinking, we need to remain consistent in our objectives, for too long the Irish people have fallen foul of sell outs and those wishing to re-invent the wheel, telling us how if we just take this step inside Leinster house it is progress, or how if we just buy into this one British Government proposal it will yield results. On this 100th anniversary of the first meeting of Dáil Éireann let us re-dedicate ourselves to re-establishing the Republic that was formally declared on that day. For many our demands are unreasonable, too hard-line, too undeviating, the same criticisms that Revolutionaries have always faced, however, we are guided by principles and ideals, we aim is to make our ideals a reality. The Republican Revolutionaries of early 20th Century Ireland took Republican ideals and made them a reality in the form of the 1st Dáil Éireann, we are the inheritors of that great and noble council and we must advance on what they started.